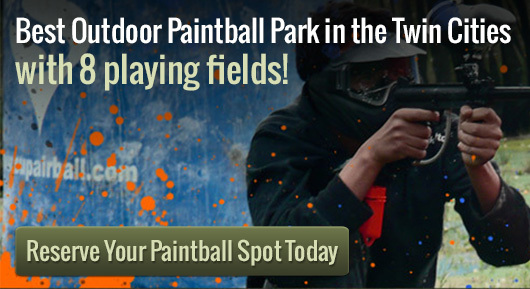 Looking for the ultimate paintball experience? Action Packed Paintball Games offers huge, structures, towers, modern and maintained paintball markers and top of the line paint balls at great prices. We offer both high intensity and low impact paintball! There is an ultimate paintball game for everyone. Action Packed Paintball Games hosts all types of paintball events to make the facility the best outdoor paintball park. Every field has several scenarios to choose from to hone in on your individual strategic shooting talents. Find the best paintball in Minnesota at the best price here in Jordan MN. 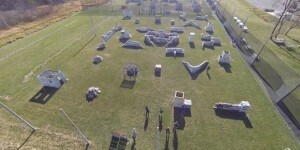 Action Packed Paintball Games has over ten large outdoor courses to explore. From sunrise to sundown, outdoor paintball combat is an exhilarating experience and a great way to spend recreational time with family and friends. If you purchase a membership for the year you will have a chance to explore them all, at a discounted paintball rate! We offer paintball games like Call of Duty, Civil War, Close Quarters Combat, The Western Town, Urban tactical and speedball. Every course changes weekly with improvements and different field design. At Action Packed Paintball, everyone will enjoy the family fun. Every player, new or experienced will have fun and meet new people. Families are welcome to have unique and energy-burning outings for birthday parties, bachelor parties, bachelorette parties or just for family fun. By the end of the day outdoor ultimate paintball is just what activity everyone could use to release stress and take the edge off. Even one well-organized, afternoon in a state-of-the-art outdoor ultimate paintball area like the one Action Packed Paintball offers can make anyone hooked. Looking for private group play? We can help you out! We can support groups of 150+. We are capable of running private games Seven days a week, morning until sundown. Contact us at 952-492-6776 if you have any questions or you would like to host a party or to reserve a time for private play.